Legal Research Resources - Legal Research White Papers and Newsletters | National Legal Research Group, Inc.
Compilations of state statutes of limitations are in simple, easy-to-use tables with areas of law listed in alphabetical order with the applicable limitations period and a statutory reference. Subscribe to any of our available newsletters or read a related blog. Read about the various whitepapers available free of charge. These whitepapers have been of particular interest to our valued clients all written by our top attorneys and can be yours for a small fee. 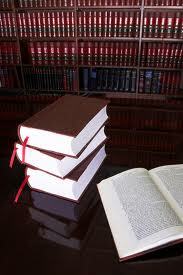 Written by some of NLRG's senior attorneys, these books will be great resources. These sample legal research work products were prepared by National Legal Research Groups Senior Attorneys and are categorized by both subject matter and author.